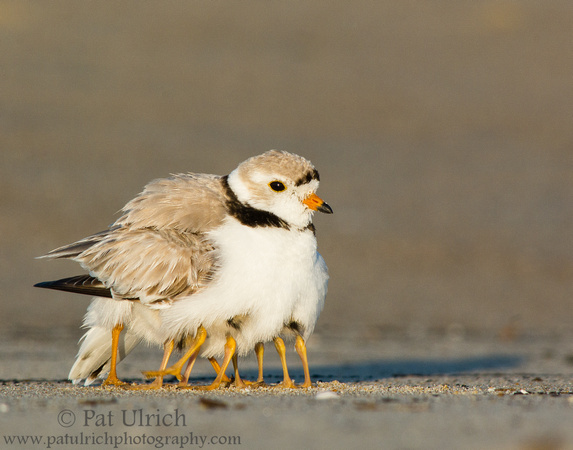 I must say, after watching the job these piping plover parents have on a few separate mornings last month, I’m glad it’s not my responsibility to keep track of the chicks! These tender moments of warming them together in a single group seemed to be short-lived, as a few minutes later all four chicks will inevitably be running in four separate directions around the beach. It’s amazing to me that the adults are able to keep track of them all! 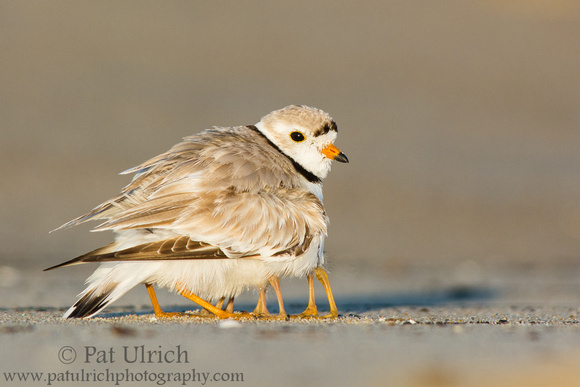 View more photographs of piping plovers, as well as other plover species. Thanks! It is pretty comical to watch four chicks force their way under!